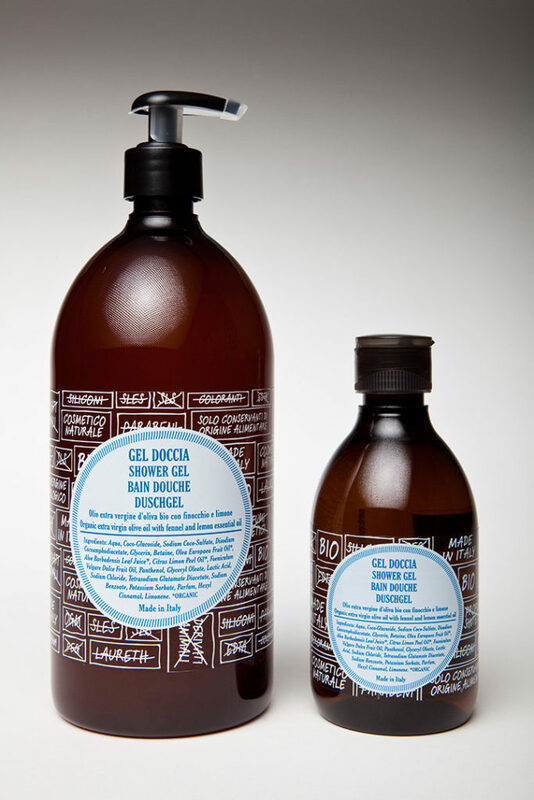 A gentle shower gel suitable both for the shower and bath. Gently cleanses, leaving the skin soft and regenerated. Its mix of extracts and essential oils creates a pleasant, silky and regenerating effect. The aloe extract protects, purifies and softens the skin, giving it a silky touch. . Essential oils of fennel and lemon provide a toning and energizing action. Purifying and Energizing Complex: Organic aloe vera gel, organic essential oils of lemon and fennel.